Pepipost is an email delivery service that can be easily integrated via SMTP, Web API and ready-made plugins. We are the only ESP that doesn't charge users for emails opened by customers. Users can purchase credits for the number of emails they wish to send, and all opened emails automatically return as credits to the user’s account. Users can track email opens, clicks, and bounces with real-time reporting. Users can also create webhooks to generate notifications in real-time for email delivery, opens, bounces, and other events. Hard bounces are suppressed and users are automatically notified of all issues. Customizable dashboards also allow users to monitor metrics in real-time. Multiple subuser accounts can also be created and assigned their own email credits. Pepipost integrates with a range of platforms and applications through ready-to-use plugins, allowing users to connect with WordPress, Drupal, Zapier, and more. The Pepipost SMTP can be configured in Outlook, Thunderbird, and CRM systems to send emails, and the HTTP APIs can be integrated with users’ own apps or websites. the integration and their add domain proccess is not easy but the others is very good.i am early adopters when pepipost serve global customer, pricing is very unique, we only pay the unopened email. 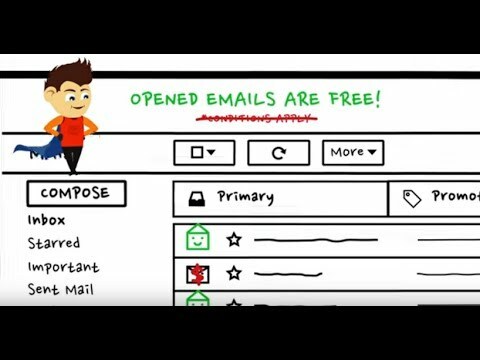 open email is free. its very interesting pricing. i am early adopters when pepipost serve global customer, pricing is very unique, we only pay the unopened email. open email is free. its very interesting pricing. Great Pricing much better than competition Even Great Support. Support is always prompt. Very easy to integrate. Thanks for sharing the feedback Rahul. Much appreciated. At Pepipost data security and it;s privacy is our utmost priority and hence we are continuously building on the same. And your feedback is of immense help. Yes, having multiple passwords is a good feature to have and we have it listed in our roadmap. We'll be launching multiple API keys first and then gradually release multiple SMTP password options as well. Nothing Specially. I think this service is currently in a high level. Dear Iman, Thank you for your generous rating and review. We take great pride in building the best email service for all our clients. Your words are motivating and we hope to add more value to your emails now and in future. will be awesome if pepipost can provide more api to some popular framework like laravel. so we can integrate to that framework easily. They have and straight forward way to activate the domain and the delivery rate has been really good. If you have to send email from an unregister domain you have to activate the domain, and sometime the statistics are a few minutes behind. Thank you for your generous rating and review. We take great pride in building the best email service for all our clients. Your words are motivating and we hope to add more value to your emails now and in future. Forever Free plan: 30,000 free emails per month; daily limit 5000 emails. Pro plan: Plans start at $15; additional features: subuser management, no daily email limit. Whatever plan you choose, all emails opened are free. They will be credited back to your account. Pepipost can be integrated with a range of applications, including Drupal, WordPress, and Zapier, through ready-to-use plugins, and emails can be sent via SMTP relay or web API. SSL and TLS encryption are built-in to protect users’ data, and Pepipost doesn’t store any emails. Live status reporting and metric monitoring gives users real-time insight into subscriber activity and email events through a customizable dashboard, automated notifications, and more. Multiple subuser accounts can be added and allocated email credits, allowing emails to be sent from different sending domains. For each email opened, Pepipost automatically adds an email credit to users’ accounts. Below are some frequently asked questions for Pepipost. Q. What type of pricing plans does Pepipost offer? Q. Who are the typical users of Pepipost? Q. What languages does Pepipost support? Q. Does Pepipost support mobile devices? Q. Does Pepipost offer an API? Yes, Pepipost has an API available for use. Q. What other apps does Pepipost integrate with? Q. What level of support does Pepipost offer?